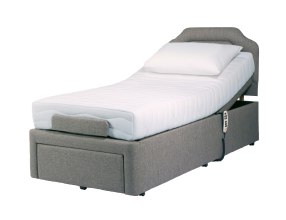 Designed for less mobile customers, this highly popular profiling bed combines luxury and supreme comfort with practicality. Its double arch design permits easy hoist and over-bed table access. It comes complete with a padded surround, decorative cording and a stylish footboard. The ultimate transportable scooter. Compact and lightweight in design helping you to stay independent. Easy to transport, it can be dismantled in seconds with it's quick release locks convenient lifting handles and lightweight manageable components. Easily stored and fits into most car boots when taken apart. 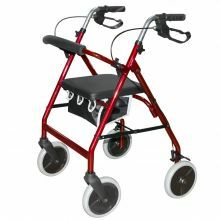 We stock a range of rollators, tri-wheel walkers, walking sticks, crutches and many other walking aids to suit most needs. 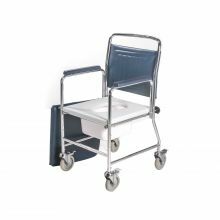 We keep in stock a range of commodes to suit most needs. 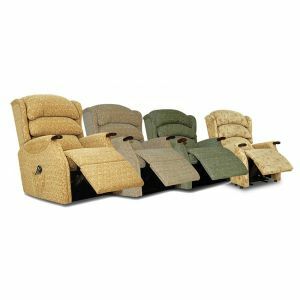 The Charlbury high or standard seat chair from Relax Seating is available in a great range of colours. Young or old you'll find the Charlbury a comfortable one, featuring a nicely padded high back. Relax Seating Charlbury is available as a Standard Seat, High Seat or Two Seater Sofa. Built on the sturdiest of frames and to the highest standards in upholstery detail, the Charlbury will provide years of lasting comfort and support, with reversible seat cushion for maximum wear. Cosyfeet footware is extra wide, extra deep, extra roomy and perfect for swollen feet. Ideal for very wide feet, problem toes, bunions, bandaging and orthotics. Comfortable and stylish, combined with the latest colours and trends. 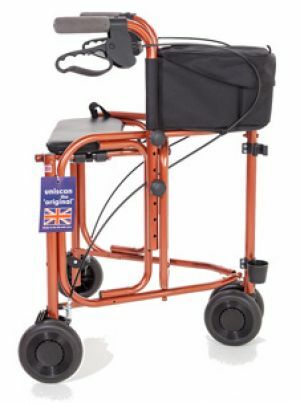 Our mission is to offer a wide range of high quality products to enable you to enjoy life to the full and for those that are less able, to have as much dignity and independence as possible. Our large fully air-conditioned retail shop is stocked with a range of daily living aids. 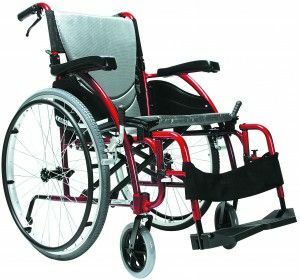 We hold a large stock of wheelchairs, scooters, bathing and toileting aids, cushions, profiling beds, rise and recline chairs, right the way down to the smallest items of our product range. We are also an independent Cosyfeet Stockist and keep a large range of ladies and mens extra wide shoes and slippers in stock. Whatever you require you will be assured of the same friendly welcome. Advice costs nothing and we welcome you to call us at any time to discuss your needs. If you want to visit the shop to talk to any of our staff you will be most welcome. 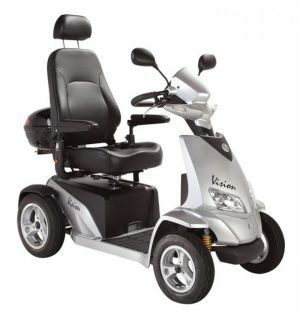 Harlow Mobility is now an authorised agent to fulfil mobility equipment prescriptions on behalf of Essex County Council. We can arrange same/next day delivery, and we keep most of the voucher scheme community equipment items in stock. £35.00 plus parts and fitting, carried out on site. Our fully air-conditioned Showroom is open Monday to Saturday 9.30am to 5.00pm. To avoid embarrassment, personal appointments with your choice of male or female advisors. We are located in a large pedestrian only area, allowing clients to test all mobility products away from traffic. Absolutely no obligation, or pressure selling. Copyright © 2019 Harlow Mobility. All rights reserved.